It may be hard to imagine it in this digital age, but there was a time when many members of Congress didn't want to be on TV — at least in the chambers of the U.S. Capitol. But that changed dramatically on this day 40 years ago. It may be hard to imagine it in this digital age, but there was a time when many members of Congress didn’t want to be on TV — at least in the chambers of the U.S. Capitol. But that changed dramatically on this day 40 years ago. It was on March 19, 1979 that C-SPAN began its first public broadcast in the House of Representatives. “Television will change this institution, Mr. Speaker, just as it has changed the executive branch. But the good will far outweigh the bad,” said Rep. Al Gore, who was then a 30-year-old Democratic congressman from Tennessee. The debates can range from the mundane to the historic, but for the past four decades, C-SPAN has brought House floor debates into your living room. The Senate was initially hesitant to go along with the House and waited until 1986 to allow cameras into the upper chamber. Sen. John Glenn, D-Ohio, made light of the change during floor remarks as the cameras rolled on June 2, 1986. He brought out a mirror with makeup and noted that lawmakers had received TV training, as they prepared for their nationwide debut. “And those of us with thinning hairlines, or little hair on the head, have been advised that you do not lean over like this into the camera,” Glenn said, as he did precisely that, exposing the top of his (mostly) hairless head. Though many lawmakers were hesitant about coming under the focus of cameras on the House and Senate floors, they quickly adapted. And, not surprisingly, they quickly recognized how they could use TV time to their political advantage. Rep. Newt Gingrich, R-Ga., was among those who saw the power of the medium. He steadily rose to become House Speaker in 1995, a year in which he appeared on C-SPAN more than 200 times. The network has covered many historic moments, including the 1998 impeachment proceedings against President Bill Clinton, congressional hearings in the wake of the 9/11 terror attacks and last year’s riveting U.S. Supreme Court confirmation hearings for Brett Kavanaugh. But for all of the high drama, the nonpartisan network mainly provides a steady diet of the nuts and bolts of the democratic process: congressional hearings, public policy discussions, floor speeches and the like. C-SPAN does it without hype and without spin, allowing viewers to make up their own minds about what they see and hear. C-SPAN founder and Chairman Brian Lamb started the cable network with three other employees. In a video thanking viewers, he notes that C-SPAN has remained true to its roots in public affairs and does not receive taxpayer funding. 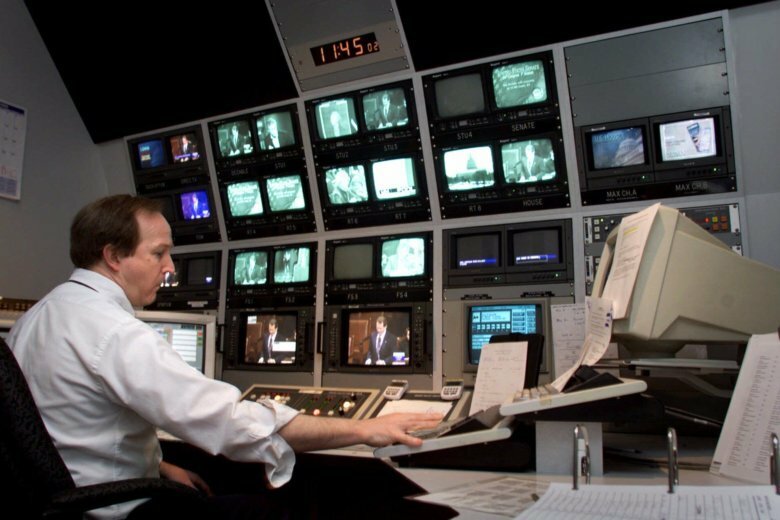 The network has greatly expanded over the years, now including several TV channels, as well as C-SPAN Radio and a presence on all the major digital platforms. NBC’s “Saturday Night Live” periodically uses the familiar understated C-SPAN introductions to work into parodies of Washington and congressional hearings. The network posted highlights from its 40 years of broadcasting on YouTube.